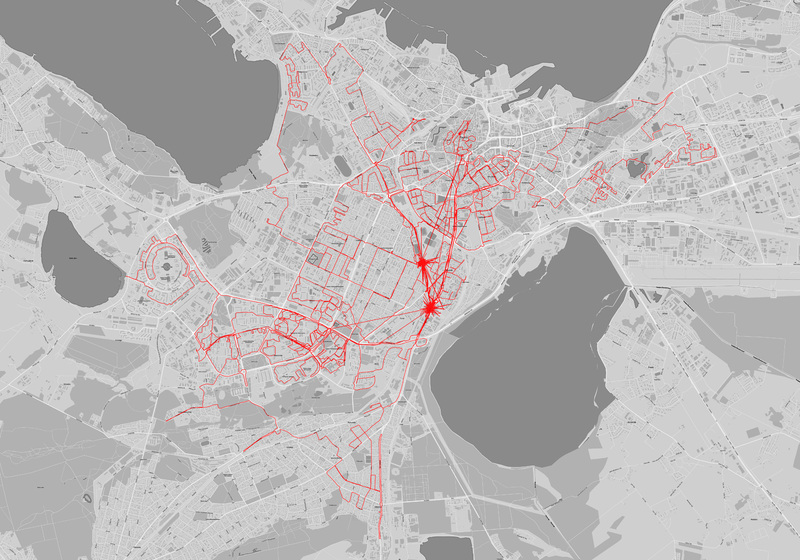 We have conducted numerous networks scanning trips across Tallinn city throughout June to July 2015 by bike and on foot. In total we have registered 23 893 networks. We were interested in exploring urban information layer and its’ network density. Metaphorically speaking, the art project underlines the digital landscape of the city and invisible communication and creativity layer of its inhabitants. 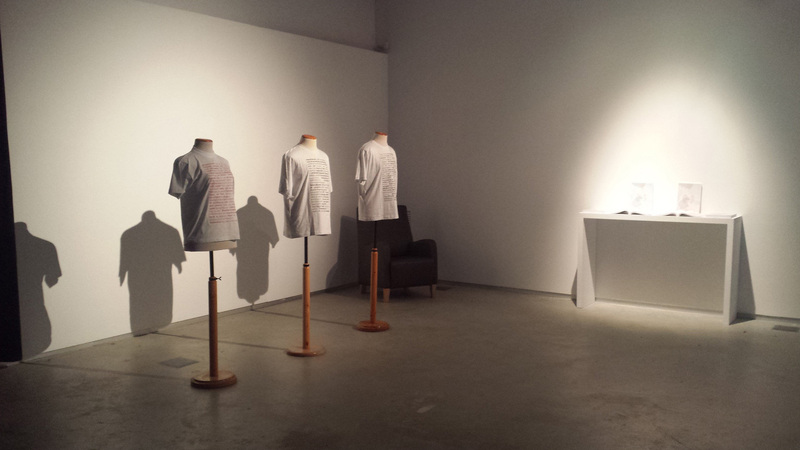 We have developed a tool that enables us to discover wireless communication devices around us. It means, wherever we went scanning, our application was constantly searching for WiFi networks and saving each and every new name, its mac address, location and GPS accuracy encountered. We discovered protective, creative, political, racist, attempts to communicate and cyber world descriptive network names. It was striking to discover the amount of information and graffiti messages-like, which teenagers would write on a wall, that are floating in the air, which could potentially find a use in social, cultural, or ethnographic studies. We are saying this, because just by looking at the networks one could say whether it is a business or residential area, neighbourhood highly populated and/or minority living there. The most interesting is the undesigned use of technology. People tend to personalise their WiFis, they try to be creative, communicate with the neighbours, or express their opinion (usually politically). Hence, the 32-character-space for naming a WiFi network, has become in away a location-specific mini Twitter. In other words, we are talking about the age of bite-sized self-expression. 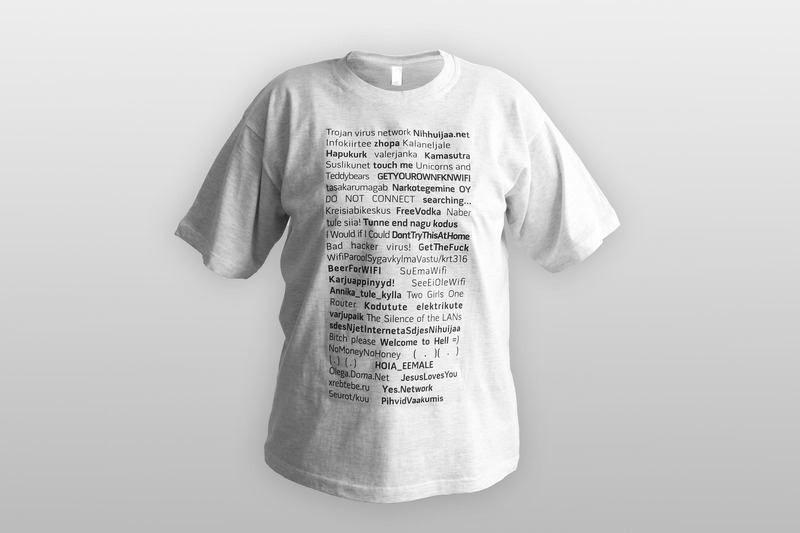 Our aim is to relate to this phenomenon artistically by revealing the names of networks and memorizing their location. The idea is to make sense of novel communication and create a big picture of citizens’ voices and reveal digital landscape of city. Our scanning trips took the form of publication that contains all the networks found and the map with the trajectory. 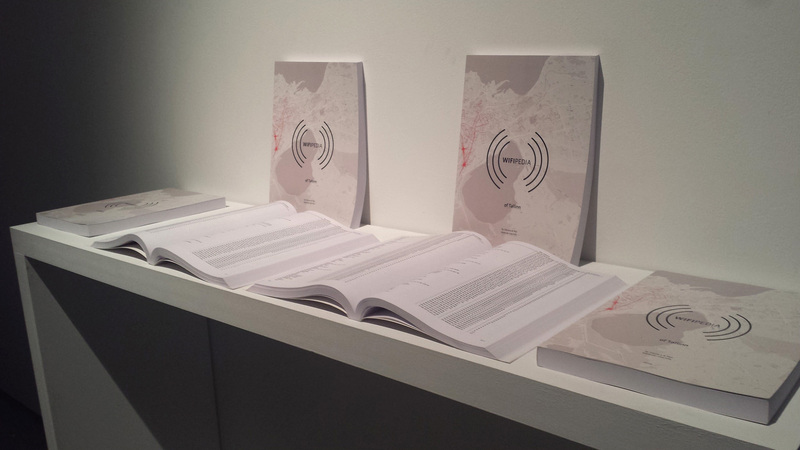 WiFipedia was exhibited at TL;DR group exhibition at Tallinna Kunstihoone Gallery, curated by Stacey Koosel (31st July – 23rd Aug’15). 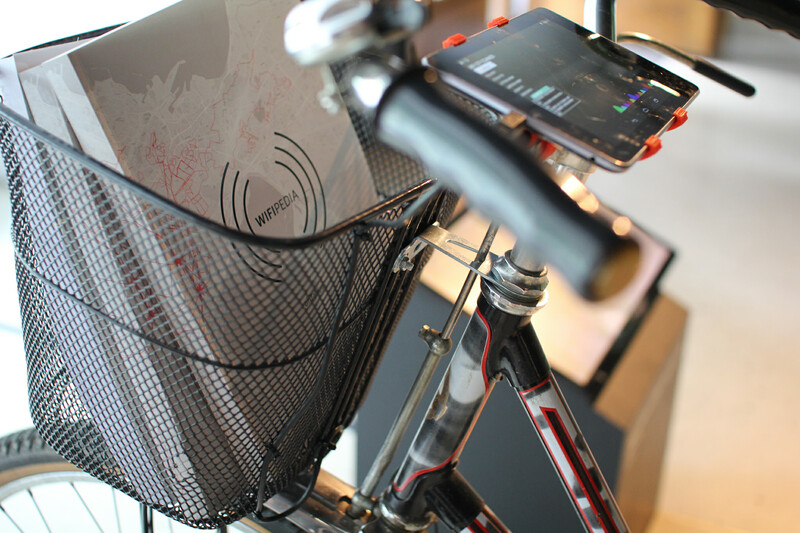 With the installation we aimed to forward our spirit of scanning expedition by displaying the bike with the tablet that has a running CityWifiScan app, two videos on each side, and WiFipedia publications. 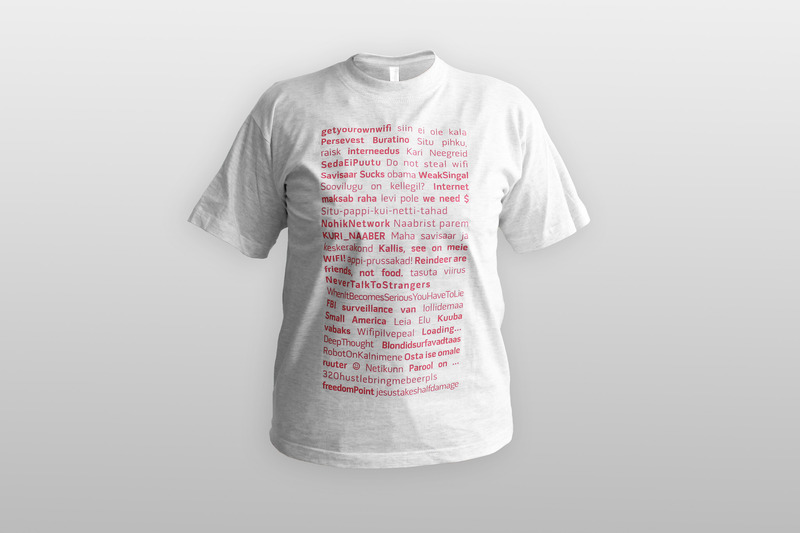 Project production was supported by Kultuurikapital. 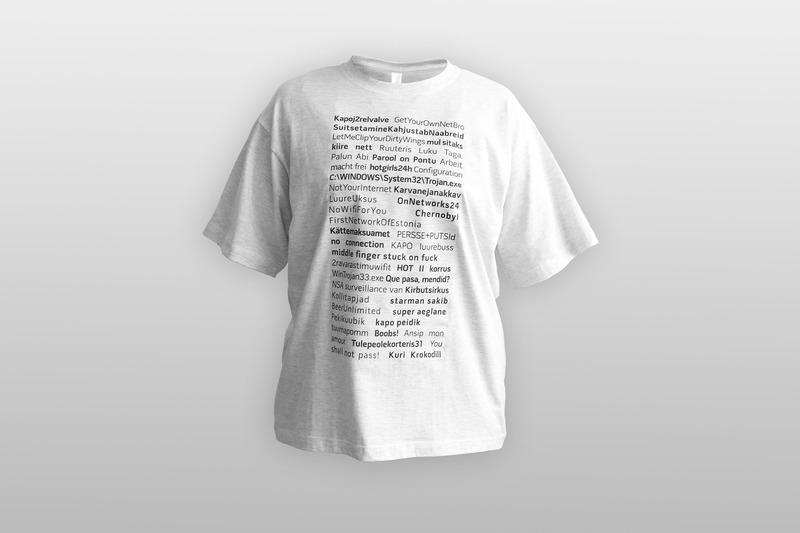 After the exhibition we have selected the most intriguing WiFi network names from the WiFipedia and turned into T-shirts.